George Geranios is the co-founder of Undo Records. Based in the offices of EMI in Athens, Undo not only have MARSHEAUX, MIKRO, NIKONN, ROCKETS IN A COMA and KID MOXIE on their roster but have also issued albums by CLIENT and MESH for their domestic market. They also recently announced they will be releasing the new OMD album ‘History Of Modern’ in Greece. George’s love of music has resulted in one of the largest music collections that The Electricity Club has ever seen. We thought we had a large music collection until we clasped eyes on this wonderful archive! Occupying two rooms from top to bottom on three and a half walls each, you will find all manner of vinyl, cassettes, videos, CDs, magazines, books, promos, boxed sets and DVDs. 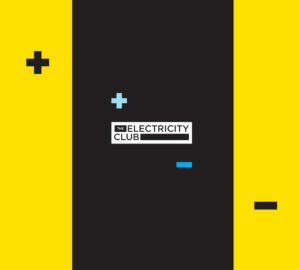 The Electricity Club talked to George about this lifeblood which fuels Undo Records and his many other musical interests. Can you remember the first records you bought with your own money? The first record was the Greek 12 inch of ‘Parlez-Vous Francais’ by BACCARA in 1978. The same weekend I bought ‘Radio-Activity’ by KRAFTWERK and then the week after, I bought SPARKS’ ‘Kimono My House’. That’s funny because MARSHEAUX look a bit like BACCARA in the 21st Century! Yes indeed! I wish they would have the success that BACCARA had in Europe! How many records and CDs do you think you have in your collection now? 15000 vinyls and about 10000 CDs. The problem now is that I am running out of space! Your music collection is very international and a lot of your favourite acts are British. How did you acquire your imported items in those pre-internet days? I had a few pen-friends and I sent them what was new in Greece and people sent me things from Japan, England, France and Germany so I became informed about what was happening. I also used to buy music from Adrian’s Records and Esprit. Is it true you used to come to England with an empty suitcase and go to Adrian’s to fill it up? Yes it’s true. Me and a friend of mine used to visit London a lot, sleeping on the Heathrow couches instead of a hotel, so that we could save up money for records. We’d spend hundreds of hours in Adrian’s and Kensington High Street Market in Camden. Wonderful times! Your collection is like a history of electronic and New Wave music. Which bands are your absolute favourites, the bands where you HAVE to buy everything? I’m a completist of DEPECHE MODE, OMD, ERASURE and PALE FOUNTAINS. From the new artists, I collect GOLDFRAPP and HOT CHIP among others. I understand you have one of the largest DEPECHE MODE collections in the world. Can you tell me a little as to how important this band has been to your life? DEPECHE MODE were my biggest heroes of all. I grew up with them. They are connected with my life as for example I was listening to Depeche with my first girlfriend. We used to spend hours listening to ‘Speak and Spell’ and ‘A Broken Frame’. They played with synths, but they never sounded cheap. They always had a unique quality that touched my heart in a magic way! And what is the most valuable DEPECHE MODE item in your collection? The most valuable DM item I own is the 10 inch acetate of ‘Behind The Wheel’ with the DJ mix. Is there anything you would like to have, but haven’t so far due to either cost or rarity? I would love to have the four vinyl acetates for the DEPECHE MODE B-Sides box set, and the ‘Music For The Masses’ LP with the withdrawn cover. These are the only DM items I really want and I believe that I am complete until another buried treasure comes out. What’s the craziest thing you’ve ever done in pursuit of your love of music? I still have the poster! I hitchhiked from the biggest port in Athens and asked truck drivers if any of them were going to Paris. And when I tried to come back, I ran out of money… I got back after six days! I told my mum the story one year later. With such a large music collection, it was probably inevitable that you would work in the music industry. How did you come to set up Undo Records with Nick Bitzenis of MIKRO? Undo was Nick’s idea because in 2002 or 2003, MIKRO gave a song to be used by a big telecommunications company in Greece and the deal was very lucrative. But MIKRO’s then record company Warners took 90% of the money, so Nick suggested setting up a label to have more freedom to do things. Were things like the artwork and presentation inspired by labels such as Factory or Mute? It was Factory, Mute and ZTT. We always liked Tony Wilson’s and Daniel Miller’s philosophy about the music and the freedom the artists can have. This is important, we want our artists to be happy people… if someone wants to leave Undo, they are free to go. So far, nobody has left Undo. How do you feel about download culture? When we release an album, at the same time we put high quality 320kps MP3s on the internet, because our philosophy is that it’s better if you have 100000 people download your album for free than 2000 people buying it. This way, more people will know about you and come to see you play live, more people know about your music. Today I saw at HMV, they have a big vinyl section again. Vinyl is a totally different culture, you own it, you’re more involved. You have the artwork on the outside and you can check the lyrics in 12 inch x 12 inch. It’s different from CDs. But at HMV, the record companies have put a lot of CDs at £3, £4, £6… and these are for releases less than six months old. This is what should have happened 10 years ago. Not now, now its too late! You can’t sell your product that costs you £2 at the most, for £12! Do you think there is now less of an emotional attachment to music when it’s just an invisible file on your computer or iPod? We are not against downloading, it is a fact and we must live with it! We all have to find out what is the next step as to how to sell your music to people. Me and Nick have thought about giving physical CDs at our live concerts for free. We had this idea with MIKRO three years ago, but we had no idea then where things were going. Now we are more aware of what is going to follow. You must give to people some extras with their purchase, something collectable that they can’t find nowhere else. That’s why bands are releasing big boxes; DEPECHE MODE released one for ‘Sounds Of The Universe’ for £70, RECOIL released a box that was £100, OMD’s is £50. Saying that, I did spend 1500 Euros to buy all the DEPECHE MODE live CDs from the previous tour!! How do you feel about modern remastering techniques? For example, the new remaster of SPANDAU BALLET’s ‘Journeys to Glory’ is crap! But if you listen to it on headphones, you will not be able to understand it is bad! It has been remastered for computer! If you play the CD on Hi-Fi, it sounds horrible! Who are the artists you are listening at the moment, is there anyone who you rate highly? VILLA NAH was a big surprise for me; ‘Origin’ is a really good electropop album with references to classic bands we like, the production is superb. I like MIRRORS a lot, TAREQ who we will release on Undo, YEASAYER, REX THE DOG, MARINA & THE DIAMONDS. 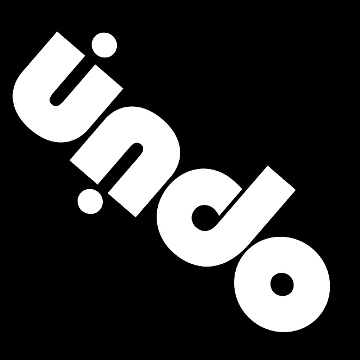 And finally, what are your upcoming plans for UNDO Records? I understand you are releasing the new OMD album. We are amending the OMD artwork and packaging for Greece. It will be different to the UK standard and limited CD. Also there will be a CD with extras and unreleased material on the Undo version. We have a new album from TAREQ, we all at Undo believe that he will make it. He’s a star!! Then FOTONOVELA and HOMETAPING. I hope MARSHEAUX will have an album ready in 2011.